‘The Trawler Men 1914-18’ was a unique opportunity to collaborate with 62 Group exhibiting Artist Heather Belcher. The project commemorated the Trawler Men lost at sea during WW1 and the part they played in the war effort. 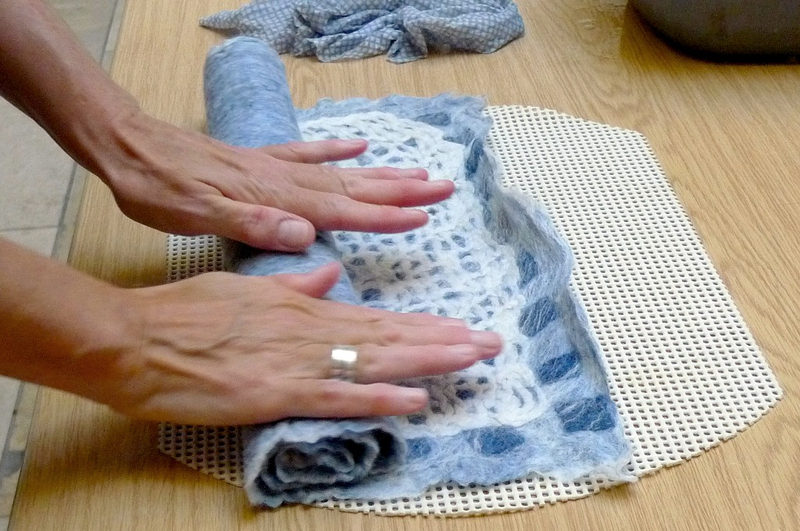 Heather invited participants to collaborate in the making of handmade felt kneeling cushions which explored the history of the traditional patterns of the fishermen’s sweaters and recorded names of Grimsby fishing trawlers which were sunk during World War One. Participants were invited to design and knit samplers which were then collaboratively felted into the kneeling cushions. The final felt kneeling cushions were displayed in The Grimsby Minster for the duration of The 62 Group Ebb & Flow Exhibition 2014. Heather Belcher is an artist who works with hand made felting processes often combining this with other textile techniques such as knitting and weaving. She has exhibited her work widely both nationally and internationally and was awarded an Arts Council Research and Development Grant to travel to Central Asia to study the traditional felting processes first used by the nomads. 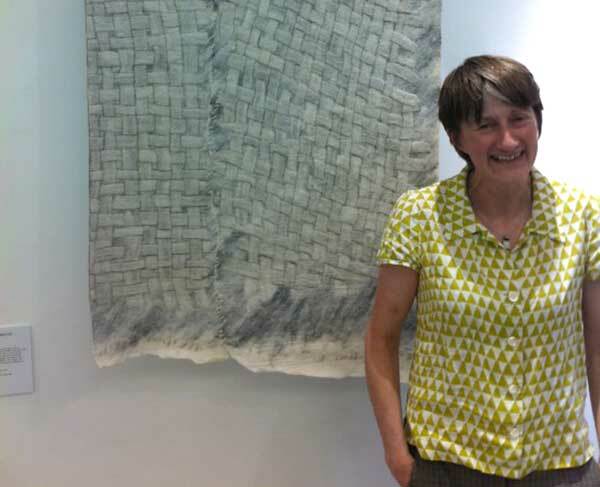 She has been an Exhibiting Member of the 62 Group of Textile Artists since 2002. I particularly enjoyed learning the new skill of felting and the opportunity to felt what I had knitted in the first session. Heather is a sympathetic and enlightening tutor; all instructions were clear and the historical background well delineated.